Darkness was her only companion. A young woman’s body is discovered in a remote Sussex location. The female student had been held captive before she was tortured and killed in the most heinous manner. Detective Inspector Scott Baker and his team must uncover the events that led to her tragic death. The savagery of the murder points to a twisted and deranged psychopath with a propensity to exact extreme violence. A killer with the darkest of minds. A depraved individual whose actions go beyond the realms of rational thinking. Stalking his victims, the killer is preying on lone female students that match his specific taste. With no evidence and no witnesses, the killer is set on making it hard for those investigating to find him. 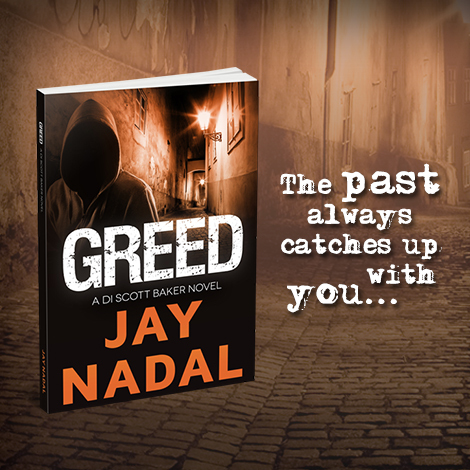 Will Scott catch a murderer who’s lost his grip on reality? Unexpectedly, another student is murdered in exactly the same circumstances. Scott and the team must get to this terrifying and sadistic killer before panic sets in amongst an already nervous student population. The eyes of the force are on Scott as the pressure mounts to get a result. With few clues to go on, Scott’s job becomes harder when a face from his past resurfaces to haunt him and shake up his new life. A moral dilemma ensues that forces Scott to put his career and relationship on the line. Faced with mounting pressure, can Scott turn this around before his life and career spiral out of control?